We've found Paymo is a great solution for our small business (>30 people) that do project based engagements. Agencies and other organizations that have a lot of moving parts could really get their money's worth from Paymo. Paymo might be too complex for a freelancer or individual designer and lacks the automated functionality for businesses that do the same type of work over and over for an individual client. Ease of use: This system was particularly easy to use for employees, managers, and administrators. The user-friendly interface and straightforward design helped make accessing and using it that much easier. 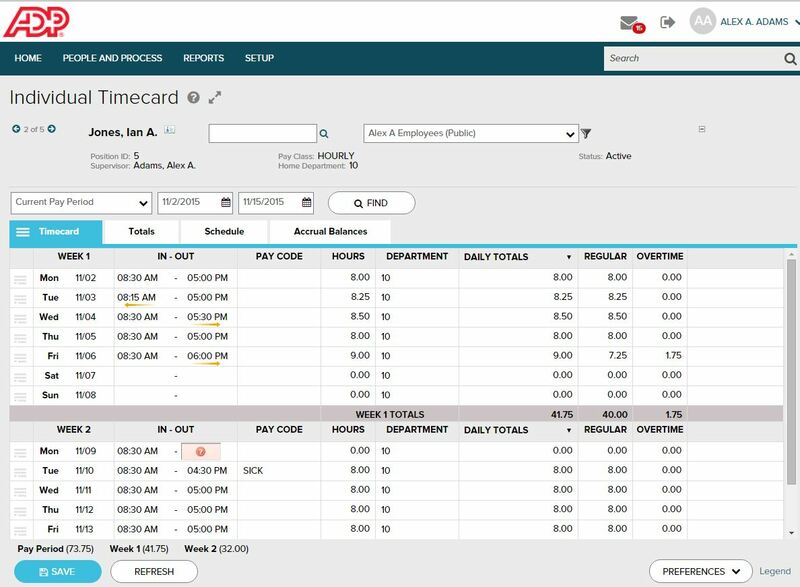 Viewing: For employees clocking in the system it was easy to clock in/out and also see totals of each week worked along with totals in month/year and vacation accruals. Reporting: This option for administrators was very beneficial and fairly simple to run for novice users. Administrator: The ability to view all partners, edit any employee as needed and ease of making changes in a short period of time. Time tracking. As long as you set up everything correctly on the front end, you don't have to think about it again and it will run in the background. Job management. Organizes jobs intuitively and can easily archive jobs. Support. If you ever have an issue or questions, they have a chat feature and will usually respond in a couple hours. Appearance: The website visual appearance could use a more 21st-century upgrade. It seemed plain and dull but that also helped as some systems are not easy to follow if too much is going on in the web page. Project list personalizing. Paymo is primarily meant for freelancers, so the only way to see how much time you've spent on a job since last recording time is to navigate through a few pages to hunt down the number. It would be easier if we could personalize the list to just show that number in the main list. Not intuitive. It takes a lot of set up on the front end to get jobs where you want them to be, and some features are not where you'd think they would be to get the jobs set up to track time. Huge learning curve. I've already heard a couple of my teammates look for alternatives because there was too much of a learning curve for them. ADP is a good system to track information but, what it lacks is just some detail that provides time savings. Some instances they have made "updates" that tend to have been better previous to those "updates." One example is for staff to see how they have used their time off in the past. There should be an easy way to report and review such other than looking at pay periods. Pay statement and review and totals can also improve. Response isn't timely and some reps are not as helpful as others. The training provided was based on a generic database and reporting which made it difficult to compare when you had your own database to work at. It also didn't provide good written materials that would be useful after the training session. It was more geared towards the practice tests or applications within the training. Should have had a project manager from ADP to assist. Again, since we have not used anything in the past, I can not compare one product to the other. Positive: allows us to use one system of recording time card information versus manually submitting time card information. This helps captures turn labor cost while the manual way had too many room for errors. Negative: if you forget to archive a termed employee, you will still be charged a fee. Negative: when you terminate an employee, it does not automatically cancel out the recurring schedule, so you have to manually update this yourself. Soft cost that could be avoided. It has shone a light on actual cost of time for us at trade shows. It is easy to see the hard costs but most people don't factor in the time/labor cost of shows.